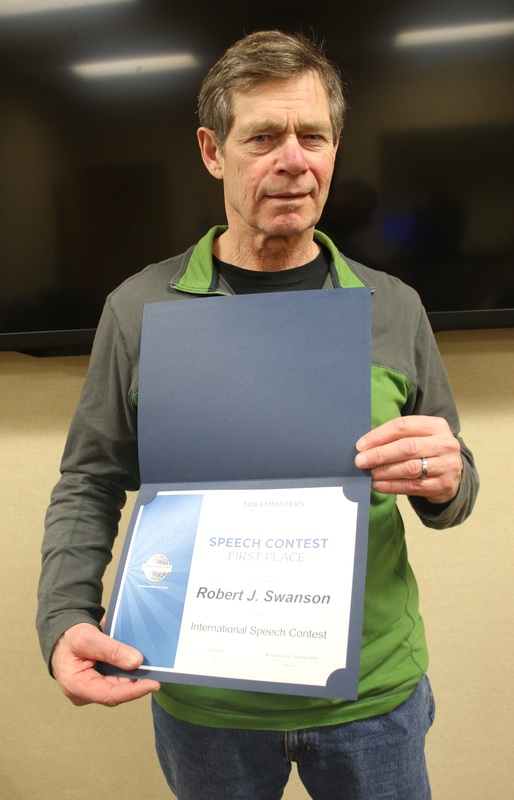 Congratulations to Bob Swanson for winning our club’s International Speech Contest!!! As the name of the contest suggests, there is an international winner. The contest starts at the club level and subsequently proceeds to the area, division, district, national, and international levels.